In a recent post by Candada’s CTV news, the obesity rates per province were addressed. Overall, the report was not good. Individual maps of changes in obesity rates showed that the country is more obese than ever before. Not only does this show bad news for those that are obese, but indicates a strain on a health care system that is not designed to support the growing health issues that arise from such a rapid increase in obesity. How does such a rapid downturn in health occur in a part of the world with such state of the art healthcare as ours? The diet humans are genetically designed to eat is not the diet we typically eat today. With the advent of farming (wheat, dairy, genetically modified food) we slowly introduced new types of food that our bodies struggle to digest. As industry developed over the last 100 years, our pace and quality of life changed as well. Food is converted into a signal that every cell in our bodies responds to. If we are not able to effectively digest and process food cleanly to our cells, we respond to the food in a way that resembles an inflammatory response by our immune system in a similar way that an infection does. This triggers a cascade of mechanisms that instruct the body to increase fat content in our fat cells. Eating whole foods and staying away from processed foods that the body sees as foreign will help. Dr. Lena Edwards explains that there is now research that shows a link between the development of diabetes and work stress, distressed sleep, anger/hostility, traumatic events, and general emotional stress. (1) Stress increases cortisol and cortisol tells the body to stop storing energy by ignoring insulin’s effects. This is fine if the stress is temporary but not if it is chronic (like it normally is). Fat gets dumped into the blood, glucose gets released by the liver, muscles get broken down for more energy, and insulin resistance develops due to the chronic signal to ignore insulin. (2) Metabolic syndrome, which includes high blood pressure, high triglycerides, low HDL, and insulin resistance is a precursor to diabetes and is shown to be completely caused by these lifestyle and diet changes. She explains that 1/4 of the world’s population has metabolic syndrome. This not only makes them five times more likely to develop type 2 diabetes, but also but they are twice as likely to die from a stroke or heart attack. 80% of these diabetics will die from heart disease. Weight gain occurs due to high levels of catabolic cortisol and low levels of anabolic testosterone, DHEA and growth hormone in the body. Overall, this increases abdominal fat and makes you consume more calories. The fat cells cause inflammation on their own and the cycle continues. If you are concerned about developing metabolic syndrome and need to lose weight, contact us at Stone’s Pharmasave. Visit our website www.stonespharmasave.com and follow the Ideal Protein tab. We have seen several weight loss programs over the years and believe in this one because it gears the body towards burning fat when energy is needed. A good friend of Stone’s Pharmasave in Baddeck is Donna White. We have had her in to speak to our patients on hormone health in the past and I use her book, The Hormone Makeover on a regular basis in my practice and sell it to our customers. Insomnia/sleep disturbances, headaches, “tired but wired” feeling, stressed feeling, irritability, low libido, depression, food cravings, low seratonin (depression and carb cravings), hormone resistance (body is unable to properly use any or all of it’s hormones), thinning skin, loss of muscle mass, bone loss, heart palpitations, cardiovascular disease, and breast cancer, abdominal weight gain/obesity, blood sugar imbalances, mood changes, estrogen dominance, slow wound healing, impaired immunity, heart palpitations, fluid retention, cardiovascular disease, hypertension, and impaired cognitive performance. Do these symptoms sound familiar? Our genes developed during the first 100,000 generations of life. Imagine life during this time. The lifestyle was different. Stress involved running out of your shelter, collecting food without being killed by an animal and returning to your shelter to eat. Stress was short-lived but intense. This is how we deal with stress the best. We now have constant stress, bills, relationships, jobs, family, traffic, school, deadlines and so on. The stress is constant and does not let up. This is something the body was not designed for. The diet was also different. Back then you ate what was available on the land, nuts, berries, seeds, fruit and animals. In just the last 500 generations we introduced dairy and wheat. The genes of the food we eat are foreign to our digestive system and can cause systemic inflammation when they are consumed. In just the last 3 generations we introduced the the industrial revolution with it’s fast paced life and with it, fast food, double income families, cars, factory pollution, plastics, exhaust, and many other things not seen by our early ancestors. Our genes have not been able to catch up in just a few generations. They need the 100,000 generations like our ancestors had to slowly fine tune. This brings on high cortisol from chronic stress. Phosphatidylserine, vitamin C, essential fatty acids (fish and flax), relora, theanine, DHEA, ginko biloga, adaptagenic herbs, thyroid hormone medication and hormone balance. Severe fatigue, allergies, stressed feelings, irritability, aches and pains, heart palpitations, sugar cravings, chemical sensitivities, low thyroid symptoms and low blood sugar symptoms (shakiness, headache, foggy thinking, irritability). Treating low cortisol includes vitamin C, vitamin E, pantothenic acid, magnesium, Siberian Ginseng, ashwagandha, licorice and natural cortisol. If you feel you need help with any adrenal issue, let us know. We can help direct you to the proper testing and treatment, much of which is without a prescription. Thanks Donna for all of your information! Ref: White, Donna: The Hormone Makeover, 7 Steps to Transform Your Life with Bioidentical Hormones. Xulon Press, 2010, Chapter 5. Has your doctor been warning you that your blood pressure is creeping upwards and that your future may include medication to bring it down? Are you having problems with erratic blood pressure or difficulty in bringing down your blood pressure with existing prescription therapy? Your vascular and cardiac health are important to us. Ask us about supplemental help for existing drug therapy or initial therapy for uncomplicated elevated blood pressure (140/90 or below with no other health issues). It may be worth a try before your next doctor’s visit. -Other supplements containing l-argenine, carnitine, taurine, CoQ10, lycopene, NAC. If you have existing heart issues or severe high blood pressure or are unsure as to whether you should be self treating elevated blood pressure on your own, let us know. Self treatment of elevated blood pressure is not appropriate when higher than 140/90 or when combined with other conditions that affect the circulatory system, such as existing cardiac disease, risk of stroke, and circulatory problems. Prescription medications are important to bring down high blood pressure. 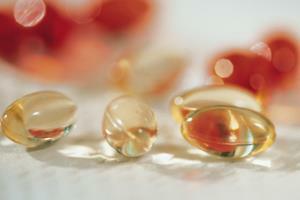 Natural supplements given in therapeutic doses are a great way to help. Always ask your pharmacist before initiating any new therapy. Natural Standard Recipe, Copyright © 2013 (www.naturalstandard.com). Heat the 2 teaspoons of oil in a Dutch oven over medium heat. Add the chicken and cook, stirring until just cooked through, 3-5 minutes. Transfer to a plate. Add the remaining 3 teaspoons of oil to the pot. Add the onion, parsnips, carrots, rosemary, salt, and pepper, and cook, stirring often, until the vegetables begin to soften, 3-5 minutes. Add the broth and apples; bring to a simmer over high heat. Reduce the heat to maintain a simmer, and cook, stirring often, until the vegetables are tender, 8-10 minutes. Return the chicken to the pot and stir in the vinegar. Herbs and supplements are commonly taken to enhance natural immunity or to help offset immune deficiencies. Good scientific evidence supports the use of ginseng (Panax spp.) for immune system enhancement. Ginseng seems to stimulate certain immune cells called T-cells and polymorphonuclear (PMN) leukocytes. Ginseng may also help clear infections when used with standard therapies, such as antibiotics or vaccines.